Registered nurse schools in Mississippi prepare qualified nurses who can deliver safe and effective services to the patients. RN is the most popular and highly sought career in the USA, which enables you to make a huge difference in the lives of individuals and community. Healthcare sector is very dynamic and complex as it asks for proficient nurses who can reform this industry by making significant contributions. Therefore, one needs to undergo an intricate program, in order to become a successful RN. The age of the applicant must be 18 years or above. Every applicant is supposed to submit a valid photo ID and address proof. The applicant must not have any criminal history. It is mandatory to submit either a high school diploma or GED as an evidence of completion of the basic education. Aspirants need to get through the drug and criminal background screening test. Applicant must clear the TEAS test (Test of Essential Academic Skills) conducted by the relevant institutes. The candidate should be able to speak in English language fluently. The prospective candidates can chase any of the following pathways for becoming an RN in Mississippi. Associate Degree in Nursing: An ADN program equips students with broad academic knowledge that prepares them to function as entry-level RNs. The extensive coursework takes two years of study in general education, nursing fundamentals and clinical experience. Bachelors of Science in Nursing: The main purpose of 4 year BSN program is to provide deep understanding of nursing fundamentals, which prepare candidates to work in diverse health care settings. It offers courses in liberal arts, social sciences and the humanities with on-hand program. Accelerated BSN Degree: The second degree BSN program is designed for non-nursing bachelor degree holders. It takes 12-15 months to complete this comprehensive curriculum. LPN to RN: This track is designed for licensed practical nurses who wish to pursue an advance course for attaining professional growth and grabbing maximum advantage of the available opportunities. RN to BSN Program: Registered nurses, who wish to raise their education profile by learning advanced skills, can pursue this course. The intensive coursework will help nurses to refine their previous credit and build proficiency in various areas such as management, informatics, patient-centered care etc. 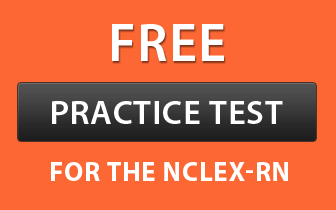 On completing any of the above programs, you are eligible to take NCLEX-RN exam. For more details, visit https://www.ncsbn.org/nclex.htm. Master of Science in Nursing: Master degree prepares you to excel in the nursing career in order to be able to sustain in the competitive and challenging world of health care. If you are willing to catch hold of better opportunities with the help of your nursing education, master degree is the best for you as it will raise your position and equip you with leadership and management skills. Doctor of Nursing Practices: This program emphasizes the practical program and field work, so that, you can apply your knowledge when you find yourself in the real work setting. DNP’s curriculum covers a wide-range of topics which includes evidence-based practice, healthcare policy, quality improvement, organizational leadership, and advanced nursing practice. Here is a list of state approved colleges in Mississippi. Except Mississippi College, all the other institutes offer master degree programs. Except University of Mississippi Medical Centre, all the other institutes offer RN to BSN programs.